Canning as a form of food preservation has a long history of use in human cultures, as the air-tight containers help combat the growth of harmful bacteria. However, some might be surprised to discover that, contrary to its name, the humble tin can used today actually contains no tin. This misnomer is similar to calling foil made of aluminum "tin foil," when it's an entirely different metal. Tin cans only found wide-spread use during the American Civil war and, since then, manufacturing and metallurgical processes have improved, allowing the creation of newer and better "tins" to keep food. Contrary to its name, a tin can made using modern processes actually contains no tin. Tin is relatively rare, and modern cans are usually made of aluminum or other treated metals. While tin is technically considered a "common" metal instead of a precious metal like gold, tin is still rare. It may be the least available of all common metals. This means that making anything out of pure tin — especially common objects —would be difficult and very expensive. Indeed, only a certain number of tin mines exist throughout the world, and scientists are already pinpointing dates when they will be mined dry. 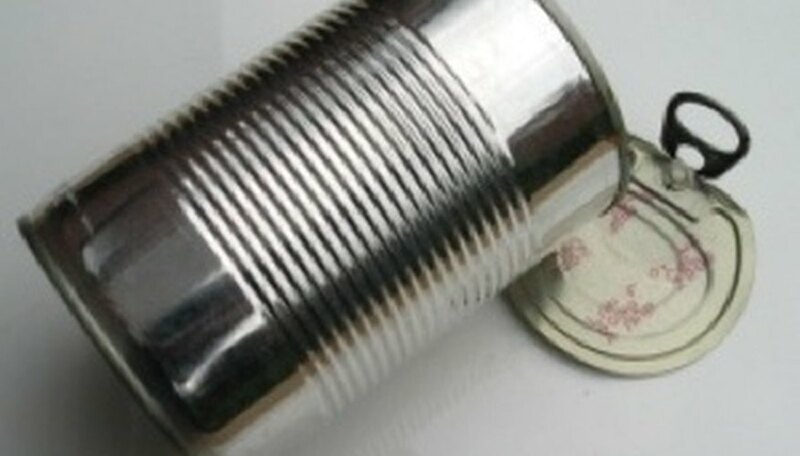 So most tin cans are combined with other types of metals to form alloys. You will usually only see pure tin as tinfoil (not aluminum foil), which is used for scientific projects or to wrap other objects, such as candy bars. Because tin can be flattened to such a thin sheet, a small amount goes a long way. 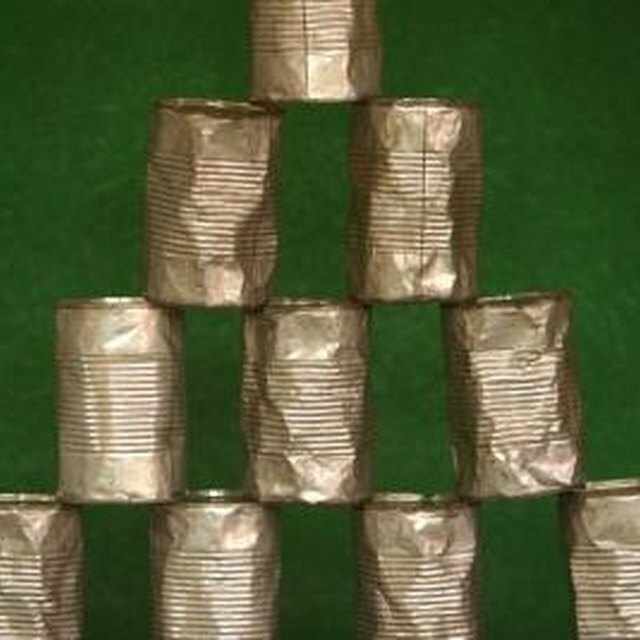 One pound of tin can produce as much as 130 square feet of tinfoil. Tin does not interact with oxygen and lose its molecular structure (meaning that it cannot rust); it is highly resistant to corrosion by acidic substances and does not tarnish. Most tin is used to make tin-plate. This tin-plate is mostly steel (or iron, depending on the use and expense involved) and only 1 to 2 percent tin, which forms a coating over the metal to protect it from the elements. This allows tin to be used for a vast number of commercial objects, such as tin cans. Originally and even to this day, the main purpose of tin cans is to preserve food. Ordinary metals would react to the acids that foods naturally produce and begin to corrode, releasing molecules that both destroyed the can and contaminated food. In the past, this was a significant problem with lead, which would leach out dangerous toxins into the food packaged in lead cans. Tin, on the other hand, since it's resistant to acidic combinations, is able to safely hold food for a long period of time without corroding. Of course, tin is only the traditional way to make cans. Many cans today are made of aluminum or different types of treat metal, as long as that metal can be formed into the can shape and is resistant to corrosion and rust. Both older tin cans and newer versions are recyclable, which allows manufacturers to strip away the tin and other valuable parts of the can and use the steel or iron for scrap metal. How Does Chewing Gum Work? Lacoma, Tyler. "What Are Tin Cans Made Of?" Sciencing, https://sciencing.com/tin-cans-made-5344942.html. 20 April 2018.